Welcome David Lee Summers to Pulp Reports. When I was a kid, my parents loved watching Western movies on weekend afternoons. To be honest, these movies bored me to death. I would have rather watched a Star Trek rerun, an old 50’s Sci-Fi thriller or even one of those interesting Japanese science fiction cartoons like the so-called Space Cruiser Yamato. Then something happened that would change all that, a friend encouraged me to check out reruns of a show called The Wild Wild West starring Robert Conrad and Ross Martin. In the show, Jim West and Artemus Gordon battled invaders from Mars, a ghost colonel out for revenge, and a mad scientist who could use paintings to send himself to another dimension. This show brought my beloved science fiction and westerns together. I would later learn that The Wild Wild West was far from a pioneer in this field of stories which combined fantastic elements with the western. Examples go back at least to the story “The Horror from the Mound” by Robert E. Howard in 1932 and even Gene Autry’s 1935 movie serial, The Phantom Empire. It’s perhaps no surprise that the weird and the west would go hand in hand. The west always had something of a mystery about it where anything could happen. People went to find their dreams and sometimes disappeared leaving people to wonder what happened to them. The old west was filled with plenty of ghost stories such as La Llorona, the ghostly weeping woman who would kill children who wandered too close to ditch banks when the flood waters ran. There were also tales of camels in Arizona wandering the desert with ghostly miners on their back and El Muerto, a Texas version of the headless horseman legend. I grew up and have lived almost my entire life in the western United States. 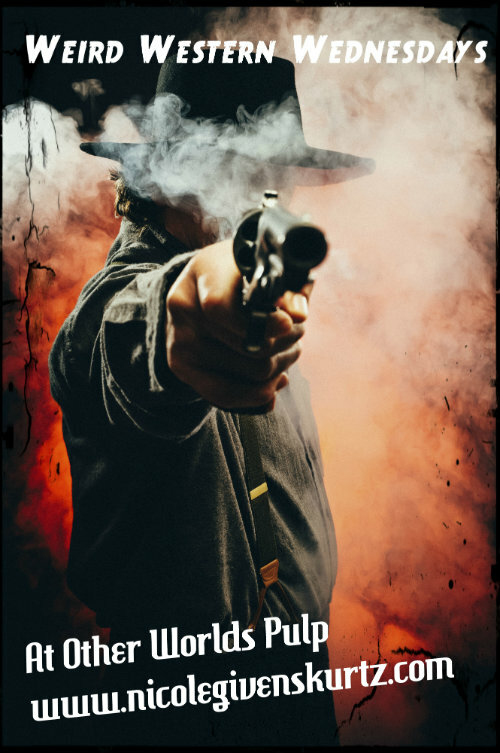 As an adult, who had fallen in love with weird western tales, it’s perhaps no surprise that when I had the opportunity to create such a series, I leapt at it. One important thing I wanted to bring to my own weird westerns was a multicultural element. Not only was the west a place where people went to seek their dreams, it was a place where people could come together on equal terms. When you look at history, many of the famous people in the west were Latino, Asian, and African. When you look at the legends I mentioned earlier, two of them have Spanish names. I decided my hero would be a Latino sheriff named Ramon Morales and he teams up with a newcomer, a healer from Persia named Fatemeh Karimi. 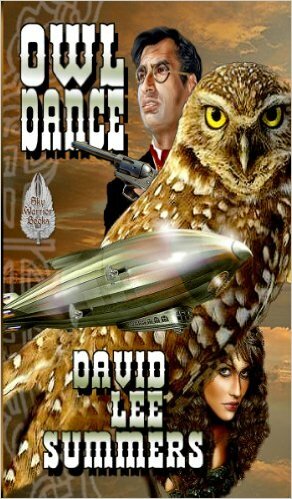 Ramon and Fatemeh have adventures in New Mexico, Arizona, and California throughout Owl Dance and Lightning Wolves, the first two novels of the Clockwork Legion series. Along the way, they meet such people as an inventor from Mexico and a Japanese farmer. This isn’t the weird element. This is just a reflection of life as it was in the west and all too little portrayed. The weird elements are their encounters with an ancient lifeform from the stars called Legion, a clockwork wolf, and even one of the ghost camels I mentioned earlier. In recent years, elements of the weird west have been embraced by the steampunk community, which I think is great. Keeping genres too tightly in one box has a way of stifling them. 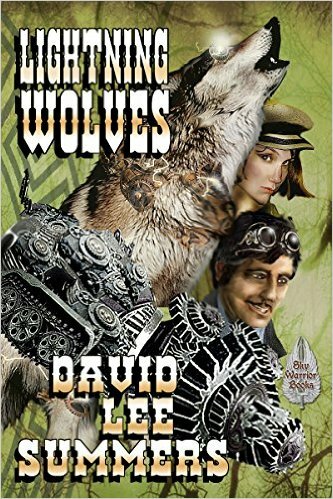 Indeed my first two novels in the Clockwork Legion series have been promoted both as weird westerns and steampunk. That said, in the third novel, which I’m working on with my editor right now, I shift the action to Japan. The thing is, shifting the action, doesn’t really go too far afield from the western heritage of the first two novels. After all, Akira Kurosawa’s Seven Samurai was a tribute to the westerns of John Ford, which in turn was remade as a western called The Magnificent Seven. What’s more, those Japanese cartoons, the anime, I watched as a kid, have long embraced the Wild West aesthetic. Great examples from my childhood are Leiji Matsumoto’s series’ Galaxy Express 999 and Captain Harlock, where frontier worlds are often portrayed like Wild West settlements, a good three decades before Joss Whedon would make Firefly! As an adult, I’ve come to appreciate my heritage as someone who grew up in the west. I particularly enjoy the stories of cultures meeting and struggling to find common ground. I especially like it when those stories also include some element of the science fictional or the supernatural!